Artisanal mining is commonly associated with violent conflict, rampant corruption and desperate poverty. Yet millions of people across Sub Sahara Africa depend on it. Many of them are living in eastern Democratic Republic of Congo (DRC), home to important mineral reserves, but also to a plethora of armed groups and massive human rights violations. 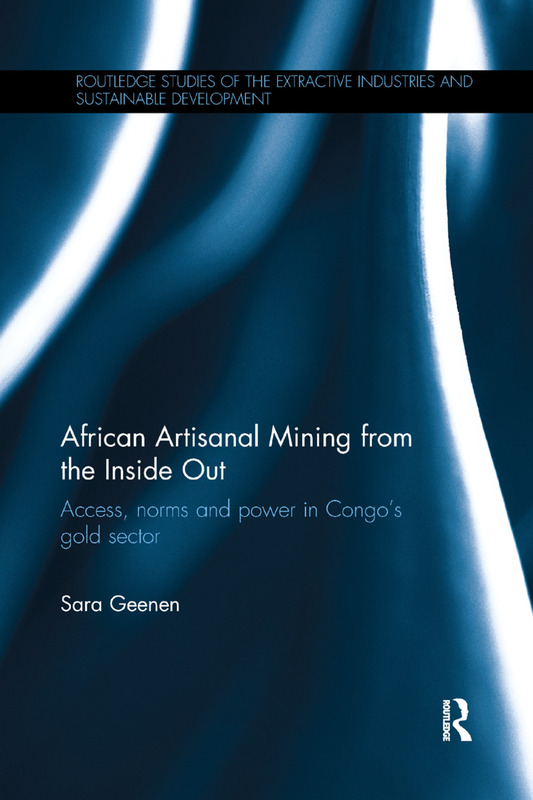 African Artisanal Mining from the Inside Out provides a rich and in-depth analysis of the Congolese gold sector. Instead of portraying miners and traders as passive victims of economic forces, regional conflicts or disheartening national policies, it focuses on how they gain access to and benefit from gold. It shows a professional artisanal mining sector governed by a set of specific norms, offering ample opportunities for flexible employment and local livelihood support and being well-connected to the local economy and society. It argues for the viability of artisanal gold mining in the context of weak African states and in the transition towards a post-conflict and more industrialized economy. This book will be of great interest to researchers and postgraduates studying natural resources and development as well as those in development studies, African studies, sociology, political economy, political ecology, legal pluralism, and history. Sara Geenen is working as post-doctoral research fellow with the Research Foundation Flanders (FWO). She is affiliated with the Institute of Development Policy and Management (IOB) at the University of Antwerp, Belgium.